The CRIC Research Network (CRIC–RN) began the design of the study in 2001. During this first phase that ended in mid-2008, the CRIC-RN successfully recruited and characterized a cohort of nearly 4,000 individuals with chronic kidney disease. The second phase of the CRIC study, which began in 2008 and was completed in 2013, allowed for extended follow-up of study participants. The third phase of the study, which began in 2013 and ended recruitment in 2015, enrolled over 1500 Americans with less severe CKD, and extended follow-up of Phase 1 and 2 participants for an additional 5 years. 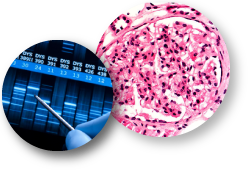 In its next phase which will begin in 2018, the CRIC Study will continue its examination of the effect of a broad range of risk factors (from molecular biomarkers of disease pathways to clinical, demographic, and behavioral characteristics) on the progression of CKD and other health consequences, and will, in addition, develop and carry out novel approaches to deep phenotyping in CKD made possible by the use of cutting-edge remote data capture technologies.